Obedience should be fun but also challenging for your dog. We work to provide a “language” for you and your dog to communicate with words like Heel, Sit, Come, Down and Place. Learn more about our Fort Collins obedience classes today! 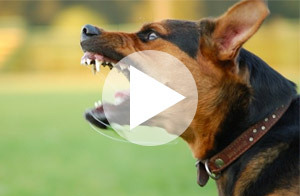 Aggression is not a natural state of mind for a dog, so it is a correctable behavior. This is another issue we love working through because dogs are so much happier once they are free from this burden. Learn more about our dog aggression training! If your dog is terrified of being alone, then our dog training professionals can help tremendously. This is one of the most common issues we work through with dogs, making us Fort Collins's expert on dog separation anxiety. Our programs include unlimited lessons for your dog's life - our commitment to solve the problem forever! Lessons are done at your Fort Collins home, and several lessons will be at high distracting areas like parks so your dog is confident anywhere. 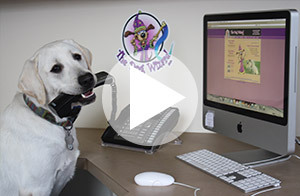 The Dog Wizard is a top-tier dog training school in Fort Collins offering classes, programs and in-home visits to help you enjoy your time with your dogs. We have obedience training, aggression and behavior modification training, new puppy classes and group socialization. We are passionate about what we do and who we do it for – both animals and humans. Because of this, we have become Fort Collins's choice for dog training. Contact us today for more information! Click Here.